In Google Maps, markers overlay a map and display an icon that identifies a location. Here's how to add a marker to a map. In this how-to, I'll use a marker to point to the location of the Golden Gate Bridge on the map. 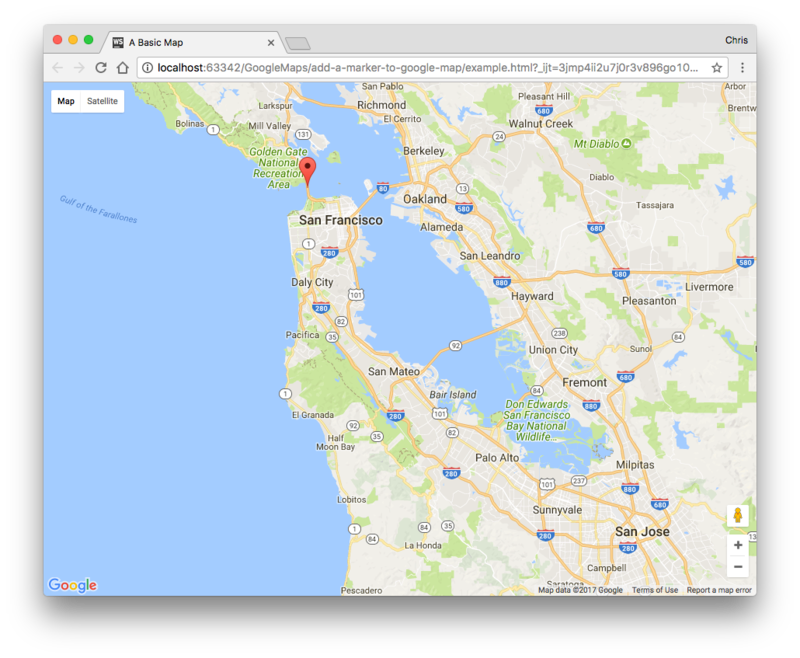 Inside the initMap() function, create an object to hold the latitude and longitude of the Golden Gate Bridge. Pass an options object into the Marker constructor function, specifying the position of the marker, the map on which to place the marker, and the label for the marker. Open your web page in a browser to see the results. Hover your mouse pointer over the marker to see the marker label.